On this page you will find highlights of God’s work in action through the work of members of our congregation. The Muslim American Society (MAS) of MN held a rally at the capital on February 26, 2019. We listened to Governor Walz, Lieutenant Governor Flannagan, and various Legislators speak to the gathering about being a welcoming community. The rally was followed by visits with MN Legislators to discuss MN issues of Healthcare For All, Gun Control, Paid Family Leave, and to also discuss the problem of Islamophobia. The Interfaith organizations ISAIAH and ICOM attended the rally in support of our Muslim neighbors and to provide a buffer should anti-muslim protesters put in an appearance. Judy Rhein and Zella Vandervort from Amazing Grace attended as part of the ISAIAH and ICOM groups. Every second Tuesday of the month at 7:30 a.m., ICOM holds a Vigil at the Bishop Henry Whipple Federal Building, to stand in solidarity with our immigrant neighbors who are in detention and face deportation. Our diverse traditions teach us to welcome our immigrant and refugee and asylee sisters and brothers. ICOM engages in courageous, spiritual, multicultural action in solidarity with immigrants and refugees of oppression. Judy Rhein at ICOM 11/14/18. The vigil was lead by the group Veterans for Peace and included a walk to show support for the migrant caravan. It was 7 degrees this morning! 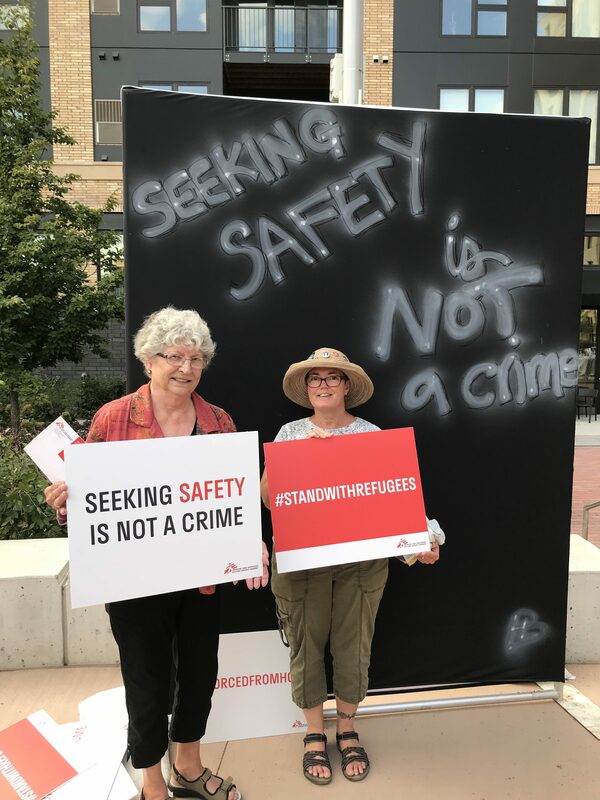 Judy Rhein and Zella Vandervort attended the Doctors Without Borders: Forced From Home Interactive Display on September 14, 2018. Mobile Meals is a mission supported by Amazing Grace both with funds and volunteers. 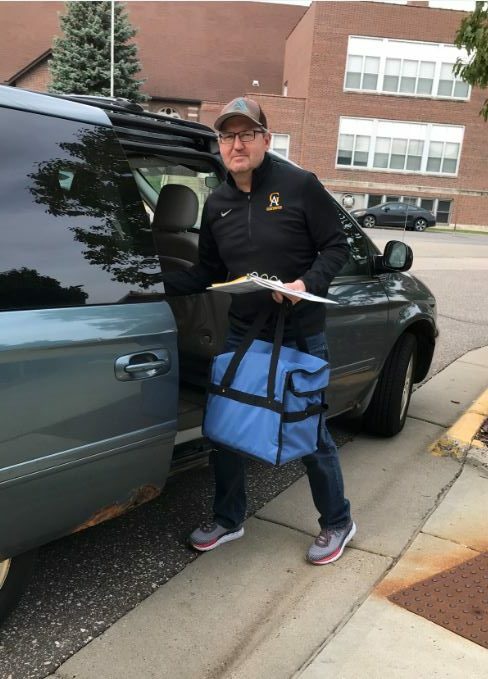 Volunteers deliver meals in our surrounding communities every 4 weeks on Monday and Friday. A meal and a friendly face at their door enables seniors to remain in their homes longer. Grace I. recently celebrated her 7th birthday with school friends. They got together for a movie and popcorn. Instead of asking for birthday gifts, Grace asked for food donations to be collected for Neighbors, Inc. Grace’s birthday guests were able to supply two grocery bags full of non-perishable food items for Neighbors, Inc. in honor of her birthday.